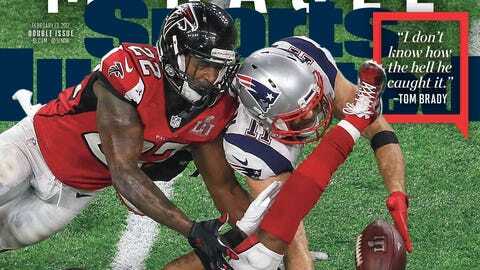 New England Patriots wide receiver Julian Edelman is featured on the cover of the Super Bowl issue of Sports Illustrated. 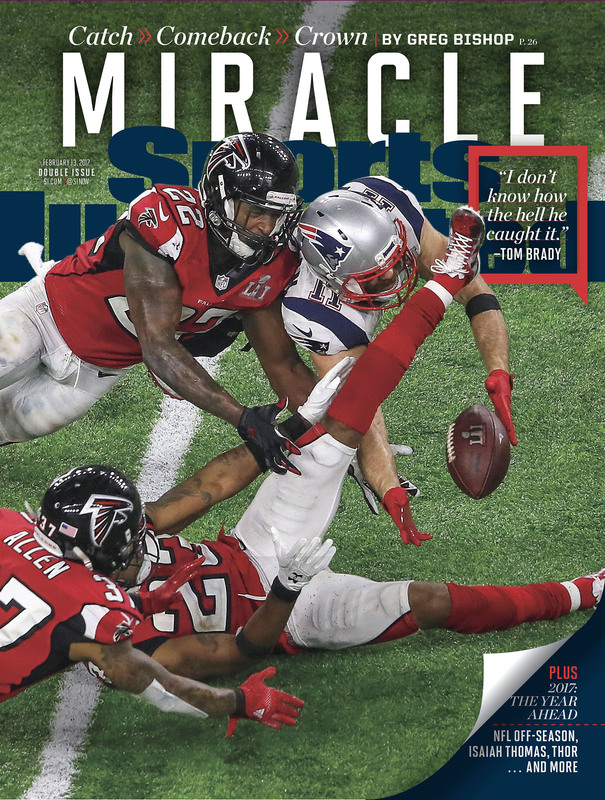 Edelman's photo was selected from five cover options that also included photos of Tom Brady, James White and David Andrews. Fans were asked to weigh in on which photo was their favorite on Sports Illustrated's Instagram by “liking” the one they would like to see on the cover. Brady was named Super Bowl MVP, but Edelman's fourth-quarter catch helped force overtime and became one of the most-played highlights of the night. The Patriots completed the biggest comeback in Super Bowl history with their 34–28 win over the Atlanta Falcons after going down 28–3 to start the game.